Forget blackboards — the classroom of today is a student-centered, collaborative environment that supports a wide range of abilities and learning activities. See how Yorkville High School leveraged tech to enhance student collaboration. Reach out to CDW•G now to learn more about how the right classroom technology and layout can motivate your students and enable better educational outcomes. At CDW•G, we get classroom IT. CDW•G and our partners provide the tools you need to create a learning space conducive to active learning, engagement and inspiration. When reimagining your new classroom design and choosing the tech tools to populate it, you’ll need to consider your goal. Whether you’re creating a space that supports individual study, large group work or putting together makerspaces for STEM students, the possible classroom layouts and technology configurations are endless. Whatever you’re trying to achieve, CDW•G can make IT happen. With the innovative use of Chromebooks and Windows 10 education devices in the classroom comes the challenge of maximizing student freedom while keeping them safe and your teachers supported. CDW•G can assist you with implementing content filtering and classroom management techniques, finding the right storage solutions and determining your new software workflow. Augmented, mixed and virtual reality are no longer the future of the classroom — these technologies are here and growing. Microsoft offers Windows 10 Education devices from a variety of CDW•G partners, as well as Microsoft 365 Education. In addition to everything you get with Office 365, Microsoft 365 Education provides a wide selection of integrated devices, applications and tools, all within a secure IT environment. Google for Education provides shareable devices, Chromebooks and free collaborative apps built for teachers and students. Spark learning from anywhere, at any time, on any budget. Create lessons, streamline file sharing and grade assignments without using a single sheet of paper with Google Classroom. Effective classroom transformation relies on a secure network and wireless infrastructure backbone to support it — low bandwidth, lack of Wi-Fi access points or an aging data center won’t cut it for one-to-one device programs. Whether it’s cloud security or remote access cryptomining schemes, CDW•G has the know-how to defend against modern cyberthreats. Protect vital endpoints, gain network visibility and ensure true network segmentation with the help of CDW•G solution architects and our elite network of technology partners. CDW•G can help remedy your network woes with proper budgetary and physical planning through our E-rate program as well as established relationships with Cisco, Aruba and more. Whether you need the best switches, new routers or increased bandwidth, we get IT. Ensure your infrastructure can support your school’s needs, on-premise or in the cloud. 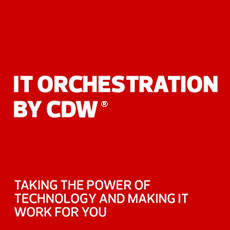 No matter if you’re in search of hyperconverged infrastructure (HCI), a software defined data center (SDDC), or cloud services from Microsoft Azure or Amazon Web Services — CDW•G can help you refine and future-proof your data center. Ready to plan the classroom of today?